This same community spirit of health, upliftment and wellbeing is what we provide at Yogareal, but on a very personal level for each individual. We’re always here to keep you healthy, happy and in a good state of mind to allow you to live your life to the fullest! The combination of a holistic yoga practice at Yogareal, the Yogareal Community, and an uplifting lifestyle connected with nature, will enable this to happen automatically. By connecting with and harmonising the 5 elements inside yourself through a yoga practice at Yogareal, you automatically connect with the 5 elements outside and then live in harmony with those elements. This is the holistic science of Yoga. When this happens your energy FLIES UP inside, and you’ll automatically feel uplifted, expansive and balanced. The process of Raj or Royal Yoga begins for you. In the new Restorative Yoga Class, on Thursday nights at 7pm, we’re using the white cubes (ottomans), as a comfy prop/module – ideal for a very large range of postures due to their size, comfort and stability – they support, stabilise, and correct your alignment. People can then stay in the correct posture for a lot longer period of time, breathe deeper, relax, re-align and regain the length and openness in their body. These principles are essential for re-instating harmony and yoga for a person. 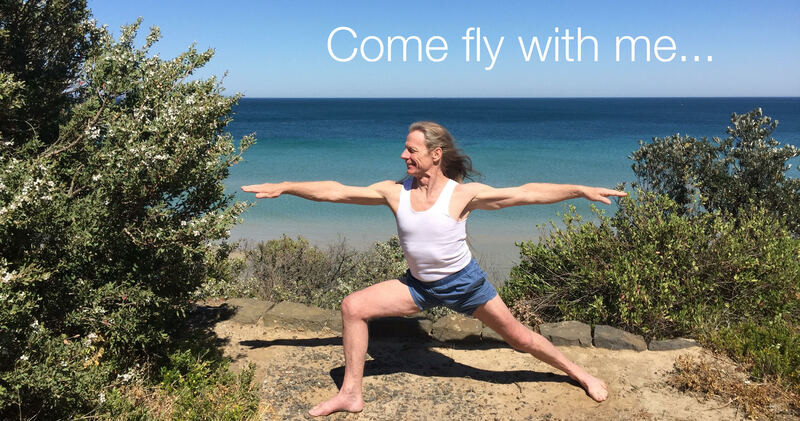 So that your energies continually FLY UP (frequent flyer points in yoga 🙂 and give you length, a deep vitality and wellbeing ongoing. We’ve collected a number of testimonials – many thanks to everyone who’s contributed. If you haven’t had a chance to write one yet, it’s not too late – we’d love to hear from you and so would everyone else! Testimonials give new people particularly, a sense of the Yogareal Community and supports their decision to experience the transformational benefits of yoga at Yogareal. We’ve never worried much about all that sort of thing before, but it’s how people communicate these days and how the digital age works. Speaking of the digital age we’re migrating our booking system across to Mindbody. Once you sign up for an account with us via the Mindbody app or our website, (call Theresa on 0419504831 if you need help with this) you’ll have access to your account details, you’ll know how many classes you have left on your class pass, you’ll have a history of all your payments, starting with your first payment in your Mindbody account. Our current card system will be phased out – so you’ll never need to worry about losing your card again – and neither will we 😉 ! Yee-haa!! We’ve refreshed and streamlined our website – let us know what you think. We’ve also made a number of changes to our timetable, so have a look at that also. So Come Fly With Us! At Yogareal make your life better than you ever thought possible.